AVYST was started by industry veterans that were tired of the overwhelming and inefficient processes in the insurance business. Our goal is to eliminate the numerous manual and paper-based steps in the sales process for agents, carriers, MGAs and wholesalers. Our first product, eForms Wizard, focuses on streamlining the submission process by allowing single entry to ACORD, company-unique and agency forms. Understanding the industry the way we do, we built the forms with bi-directional capabilities which allows for easy integration with almost any system. We are focused on solutions that provide value to all parties involved in the sales process. By working within the industry, we are empowering agents, carriers, and other third parties to simplify and streamline processes to improve the experience for their consumers. In addition to inefficient workflows, finding and hiring the right talent with the skills and experience to know what questions to ask is a daily challenge. Learning the business can be difficult, so we have partnered with IRMI to bring the power of their Glossary of Terms™ to the point of sale - and you do not need to be online! But it is not only agencies that are having difficulty, it is also insurance companies, MGAs and Wholesalers that are faced with a tedious and manual process for new business submissions. That's why we have built in ACORD standards to easily integrate with their systems, enable their carrier unique forms to be added, and the ability to require fields. By streamlining the submission process and making it easy to complete the forms with single entry, AVYST enables the independent insurance channel with the ability to easily and swiftly respond to consumer expectations. Mr. Still has been an active participant in the investment banking and private equity sector for over 30 years. In 1983, Mr. Still began his career at Bear Stearns & Co. focused primarily in Risk Arbitrage. 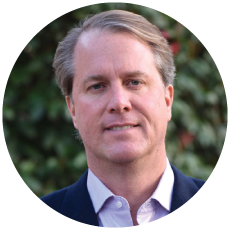 Subsequently, he was Vice President at Kidder Peabody, Principal at First Southwest Company, President of Dallas Research, and Senior Managing Director at Imperial Capital before forming Aspen Advisors, LP, a Dallas, TX based merchant banking firm, in 2000. Having participated in over one hundred corporate transactions, Mr. Still has earned a reputation for being creative in implementing strategies and structures for companies, management teams, Boards of Directors, secured lenders, and entrepreneurs. In addition to serving on several Boards of Directors, he has also directed the operational and financial turnarounds of distressed companies and has acted as CEO in many instances in a variety of industries including financial and business services, technology and telecommunications. Mr. Still holds a BBA from Southern Methodist University. Mr. Savino serves as an AVYST Board Member. He is Managing Partner for Broadfield Group, LLC, a National insurance agency/brokerage with roots dating back to the 1800s. His disciplines include Telecom, Technology and Bio Science practices and Professional, Executive and Specialty Lines. He is also a specialist in High Net Worth Private Client programs. He oversees the firms longstanding Cyber Liability practice, with over 15 years’ experience in this area. His experience and commitment to the industry is impressive. Keith is the Professional Insurance Agents (PIA) National Director for the state of New Jersey. He is an executive committee member of PIA National, serving as Vice President. He is past President of the Professional Insurance Agents, New Jersey (PIANJ). Mr. Savino is well known as the father of the “buy button”. An industry effort around the issues facing placement of insurance. Committed to technology automation and industry standards, Keith serves as the immediate past Chairman of the Board of NETVU (Vertafore user group). He has served as the industry relations chair and participates in numerous Carrier and Industry groups on behalf of NetVU such as the Agents Council for Technology (ACT) for the IIABA. He is a current member of the Leaders Council for AUGIE (Association and User Groups Information Exchange), representing PIA National. 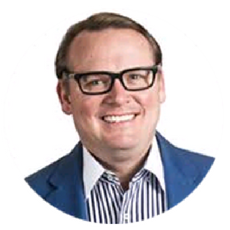 He sits on the IVANS advisory board and DocuSign Advisory Councils. In Addition, Mr. Savino is a former member of the ACORD Board of Directors. ACORD is the insurance industry standards setting body. He chaired the Professional and Specialty Lines group, among numerous standards projects over two decades. Over the years, Keith has been past-president of a number of National insurance associations including: ARIAS (now called ANEU), the retired user group for Ebix Inc., and a past-president of The CPIA Society (now called AIMS), an organization dedicated to certification of insurance sales excellence and education. Additionally, he has served terms on many Carrier advisory boards / councils including Hanover, Adirondack and Preferred Mutual. 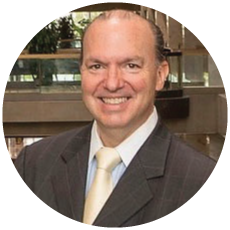 Mr. Voorheis has been involved in investment banking, private equity and financial management for over 20 years. In 1992, Mr. Voorheis began his career at Salomon Brothers with a concentration in mergers, acquisitions and high yield financings. While at Salomon Brothers, Mr. Voorheis’ experience included transactions in industries such as insurance, broadcast/media, technology, waste management, manufacturing, plastics, and energy. 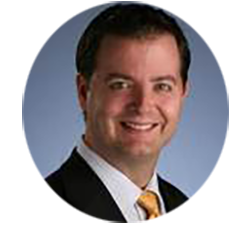 After Salomon Brothers, Mr. Voorheis spent several years in operational roles in the areas of corporate development, accounting, and finance prior to forming Aspen Advisors, LP in 2000. Mr. Voorheis graduated from Southern Methodist University with a degree in Finance and Minor in Economics. Ms. Salazar has been involved in the insurance industry for over 25 years. 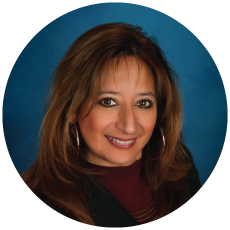 Ms. Salazar began her career at Safeco Insurance in 1987 and served in a variety of roles over a 15-year period including underwriting, accounting, claims, agency support, commercial lines, and many others. After Safeco, Ms. Salazar formed her own independent insurance agency in 2002 which became the basis for the formation of Wave Financial Partners. Ms. Salazar holds a variety of licenses including property, casualty, and life in addition to being a Certified Insurance Counselor (CIC) and completing the final institute of the Chartered Property and Casualty Underwriter (CPCU). Mr. Chaney has over 25 years of experience in software architecture, development and product management. Mr. Chaney started his career at Allstate where he led agency software development with a focus on product sales illustrations and business partner integration. Over the past 15 years, Mr. Chaney has led the development of insurance industry standards in B2B communications, electronic forms and architecture. He was the architect behind a set of information, data and process models that have literally become industry standards adopted by carriers and vendors around the globe. This has provided Mr. Chaney with the unique opportunity to partner with dozens of insurance carriers and solution providers providing thought leadership, training, architecture and implementation support. Mr. Chaney graduated from Union College with degrees in Computer Engineering and Accounting. Kitty joined AVYST in January, 2019 as Chief Growth officer after more than 5 years as CEO of NetVU. In her role, Kitty will focus on helping independent agents grow their profitability by embracing more efficient point of sale workflows. The goal: enable agents to focus on building relationships and sharing insurance expertise by embracing AVYST technology solutions that can do the heavy lifting. Mr. Aronson is President of Aronson Insurance, an Acrisure Partner Agency based in Needham, MA. He has been an insurance industry technology leader and advocate for over 25 years. He has held national committee and leadership positions with many users groups, including AMSUG/NetVU, AUGIE and IIABA’s ACT committee. In addition, Steve has been an instructor for many insurance industry programs, including CIC, ACORD’s Power of Change as well as many industry conference classes and panels. 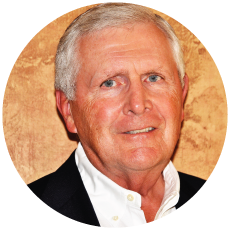 Mr. Dawson is the founder of Audigy Group, his first management shared services company, which supports more than 250 of the leading independent hearing healthcare businesses throughout North America. From a startup, Audigy Group was a disruptor in the Hearing Sciences sector and grew to approximately $30 million in revenue in 2016 before the sale of the Company in July of 2016 to a strategic investor. Audigy Group was honored as one of Portland Business Journal’s Fastest Growing Private Companies for six consecutive years, is a five-time Inc. 5000 winner, and is a two-time winner of the Inc. Hire Power Award for outstanding success in job creation. Additionally, Brandon has personally been named a finalist twice for Ernst & Young’s Entrepreneur of the Year Award for the Pacific Northwest. With more than twenty-five years successful experience as President/CEO of several public and private information technology companies and forty years in software, e-commerce and SAAS based businesses, Bob Nero is a knowledgeable and proven chief executive, board member and advisor to the IT and financial services sector. From 2003 through 2010, he served as President and Chief Executive Officer of Sircon Corp, the insurance industry leader for producer lifecycle management and producer compliance services. Headquartered in East Lansing, Michigan, Sircon was acquired by Seattle-based Vertafore Inc. in 2008. In 2011, he was appointed Sircon’s Executive Chairman. Bob was named Technology Entrepreneur of the Year by the Greater Lansing Business Monthly in 2007. Ernst & Young also named him Michigan Entrepreneur of the Year Finalist in 2000, 2005 and 2007. 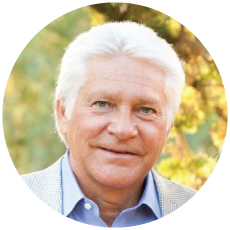 Prior to Sircon, Bob served as President and CEO of Interface Systems, a software provider based in Ann Arbor, Michigan, where he transformed a low-growth publicly held (Nasdaq: INTF) company into the leading provider of online statement delivery in the financial services industry. He has served on the board of a variety of venture capital backed firms. He was also the Development Chair for the SILA Foundation, a 501c3 charity linked to the Securities and Insurance Licensing industry. He holds a master’s degree in mathematical statistics from Michigan State University and a bachelor’s degree in mathematics and economics from The University of Dayton.